Learn NLP techniques and you’ll be taught how to improve the quality of your life. 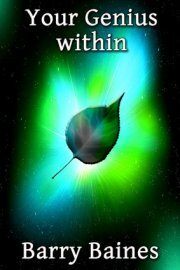 It shows you how to communicate more effectively with yourself and with others. 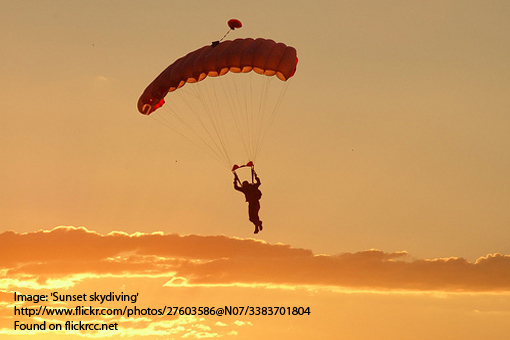 It is designed to help people to have personal freedom in the way they think, feel and behave. You will learn how others have achieved success and how to manage your behaviours in such a way that you can model theirs and achieve your own dreams. It will teach you about human behaviour. Why we do what we do in given situations, and how we can change those behaviours for the better by adjusting the mental images in our minds. If you do that, you're in control of your life. If you don't, life controls you. 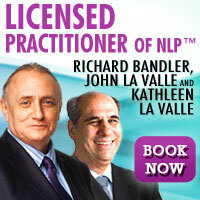 Co-creator and developer, Richard Bandler, and John La Valle – among the foremost teachers of NLP at all levels today – describe NLP as an attitude, a methodology and a technology. It is not to be confused with therapy but it will help you to change the way you think and you will be able to get from where you are to where you want to go much more quickly and effectively. It is described by some as an attitude characterised by the sense of curiosity and adventure and a desire to learn the skills to be able to find out what kinds of communication influences somebody and the kinds of things worth knowing - to look at life as a rare and unprecedented opportunity to learn and grow. NLP is a methodology based on the overall operational presupposition that all behaviour has a structure, and that structure can be modelled, learned, taught and changed or reprogrammed. The way to know what will be useful and effective are the perceptual skills. This has resulted in NLP evolving as an innovate technology enabling the practitioner to organise information and perceptions in ways that allow them to achieve results that were once thought to be beyond us. NLP teaches you how to use language more elegantly and precisely, and leads to behavioural changes that will benefit you in all walks of life. 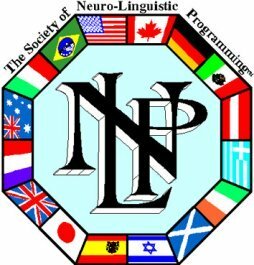 You can learn more about NLP language patterns in the Meta Model and understand more about distortions, deletions and generalisations. NLP does not look at what or why something went wrong and then try to fix it. It concentrates instead at what works. Richard Bandler studied those outstandingly successful clinicians like Virginia Satir and Milton H Erickson and modelled what they did. Nowadays skills, techniques and patterns are increasingly used in all walks of life for more effective communication, learning and personal development. Think personal excellence, think NLP, learn NLP. NLP has various presuppositions, one of which is that that the Map is not the Territory. Much of it, you may think, is sound common sense. But you can learn about the great power of Embedded Commands in your speaking and writing, creating, building and breaking rapport,and the enormous benefits to be gained from anchoring and other techniques. Before you learn NLP, move yourself to a quiet place where you will not be disturbed for a few minutes. Take a couple of deep breaths in through your nose – holding them for a moment – and then exhaling slowly through your mouth. Close your eyes. Allow your body to relax from the top of your head to the tip of your toes, imagining any tension melting down through your head, relaxing your jaw, then down through your trunk and legs and out through your toes. Feel the chair supporting you. Then think of a most relaxing place. It could be anywhere but for the purposes of this demonstration, imagine you are in the countryside miles from anywhere on a warm blue summer’s day. You are ambling down a hillside overlooking a beautiful valley. You can feel a gentle, warm breeze on your face and you can smell the fresh cut hay. You can hear water bubbling along a nearby stream and the leaves rustling on the overhanging branches of trees. Pull an apple from the tree and take a bite. It is very juicy, and as you bite, the smell rises from the fruit, the juice spreads around the outside of your mouth, and you lick it off. You are aware that somewhere in the distance children are playing and you hear a dog barking. When you are ready, open your eyes and think about the sensations you experienced. Could you feel the warm breeze? Could you taste the apple? Did the thought make your mouth water? Did you hear the dog bark and children’s voices? Could you see the beautiful countryside? Of course, this is just a bunch of words. But words are not just descriptive. They create your reality. They affect how you feel... so Learn NLP! Learn NLP and see what it can do for you? You will learn how to get what you want in life and enjoy yourself while you are doing it.